You got your sarsaparilla and some purdy dice, but somethin’s missin’! You need some shiny new western floor plans for your table!! Even though I don’t yet have a use for these plans, if I ever get around to doing the western game then I may have to make use of these plans. I have backed their previous project for the shopping mall and I was very impressed with it, a massive shopping mall ready to be printed out. After seeing a projector combined with a virtual tabletop on a friend’s FaceBook timeline it got me thinking if I could do something like that. The projector is going to be expensive so I thought perhaps going for a cheaper alternative and playing in the same room with tablets; each one becoming a miniature map showing each player what their character can see. I’m sure something like that could work. Android tablets are very cheap these days and Roll20 can be used for free so that’s two of the major stumbling blocks out of the way, the only worry I have is that perhaps playing this way you would lose the atmosphere around the gaming table. 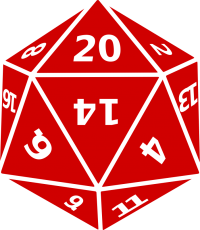 While I have had success using a virtual tabletop like Roll20 online you can make allowances for the fallibility of the technology in play, having you lose connection to the server when sitting around the gaming table could be potentially much worse as people scrabble around to find the dice and characters sheets which can normally be found to hand. Perhaps I’ll give it a try and see what comes of it, after all nothing ventured, nothing gained right?